No images of Clean NRG Pty Ltd Installations. 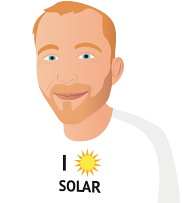 Welcome to Clean NRG Solar, your one stop ‘energy reduction shop’ for homes and businesses across Perth. We are proudly a Perth owned and family run, bricks and mortar solar retailer. We are exclusive to Perth with a combined showroom, office and warehouse under one roof in Osborne Park. 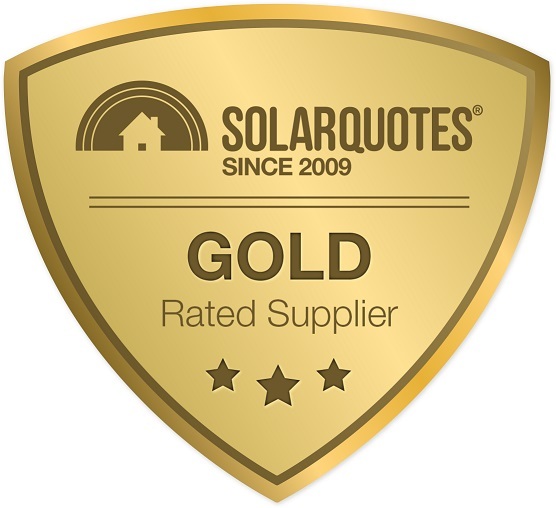 We have been in the solar business since 2010 providing a full design, sales and installation service, for Solar Panels, Solar Battery Storage, Solar Hot Water, Solar Roof Ventilation and Solar Pool Heating. Our experience with Clean NRG started off great. We did our research and they came up as being one of the better installers. We had a quote done about 6 years ago and were told, due to our roof pitches and the buildings around we would struggle to get a viable system. However, we thought we would give it another go, given advancements in technology. My partner explained our concerns to Tony very clearly from the start, a number of times we requested that someone come out and get on the roof to do a measure up before proceeding with any deposits, applications to synergy etc. However, after a few requests and phone conversations we were told the only way it would progress would be to send in a copy of our bill, which we did, as by now we were pretty confident with what Tony was telling us. After this point we were trying to get answers, appointments etc. but responses were hard to get. Tony eventually visited, had a look at the meter, but did not get on the roof, next thing our meter is being changed over to a new meter, still no one has gotten on the roof. Eventually someone was sent to measure up and a few days later we got a call to book in the install, by now the original quote of 12 panels (using google maps) had gone to 10 panels, but we decided to proceed. Day of installation came and by now a deposit had been paid and the installer got on the roof and after a bit of a look around told us that he was unable to install, as we could only get 8 panels and they would need to be split in such a way the inverter would not work on 1 section. After a long conversation with the installer and Tony, we were told to give Clean NRG a week to see if they could come up with a design (as in their words, they wanted to be able to salvage something). We waited for the call back, and received nothing, about 2 weeks later I called and spoke to Tony, first he denied saying he would call back and said that he was waiting on us, as we were going to modify our patio (this was briefly mentioned with the installer, however the installer advised against it as the power we would generate compared to the cost of install and modifying the patio (which would undermine the warranty) were going to result is a product we were not happy with), he then questioned whether I had paid a deposit, when I asked for a refund, and lastly, when we brought up the fact that the meter was read and changed (which we are now out of pocket about $200) he claimed Clean NRG had nothing to do with it. Yet when I called Synergy they said that the application was from a third party called Clean NRG. On top of that we were told that the guy that did the measure up, doesn't have much experience, hence the problems. All in all we now have a $200 Synergy bill with 0 to show for it, other than frustration. I would not recommend them to anyone who has a difficult roof space to work with. Difficult install due to limited roof space. Other quoting company sent a one liner email saying effectively 'too hard go away' from one look at the aerial view and without even talking to me. They must have too much work.